I had a half a tub of sour cream taking up space in the refrigerator, left over from another recipe. 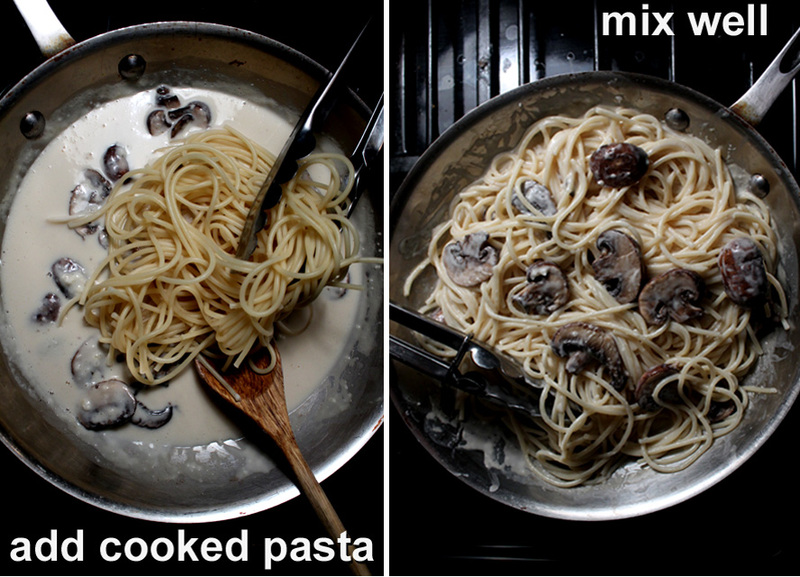 Well the easiest way to use it up is by making Creamy Mushrooms & Pasta. I like entrees that only use a few ingredients. And my latest cheap$kate recipe uses: pasta, sour cream and mushrooms. If you have a little dried parmesan then finish off the dish with a sprinkle or two. I also have a basil plant, so why not add some fresh fragrant herbs. 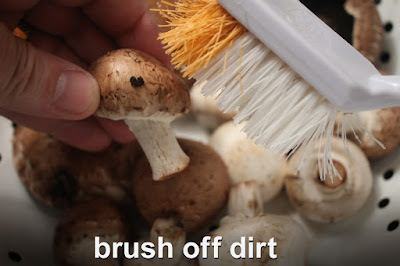 This recipe can be changed around to use what you have on hand. I thought the sour cream sauce would be too sour - not really. Once you add tender mushrooms and a mound of pasta, it soothes the sourness quite a bit. Not quite as sweet as cooking with cream, but in the neighborhood. It still has a luscious flavor I think you will enjoy. 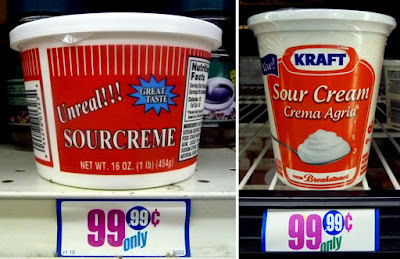 I get sour cream cheaply from my local 99c only Store. 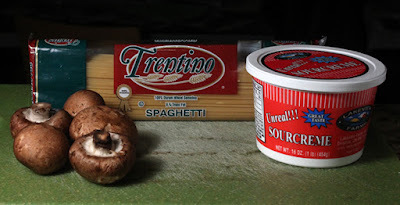 I always find mushrooms there too, like brown (crimini) and white button. Pasta is cheap almost anywhere you buy it. 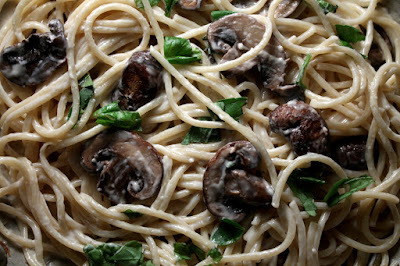 I used spaghetti for this recipe, but you can use any budget pasta you like. This recipe makes 2 servings, but it's easy enough to double the ingredient amounts to make plenty for later, or for more guests. It comes together in the time it takes to cook a pot of pasta, so you can easily make it after a long day at the office; or a day of schooling; or even between taking care of the kids. 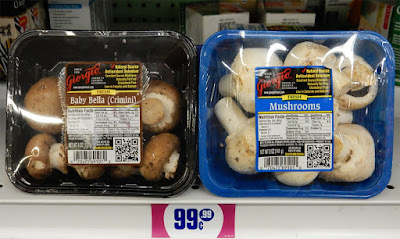 So do try out my latest cheap$kate entree, Creamy Mushrooms & Pasta. 8 ounces of sour cream - I used half a carton of sour cream, about 1 cup. Okay to use a vegan substitute. 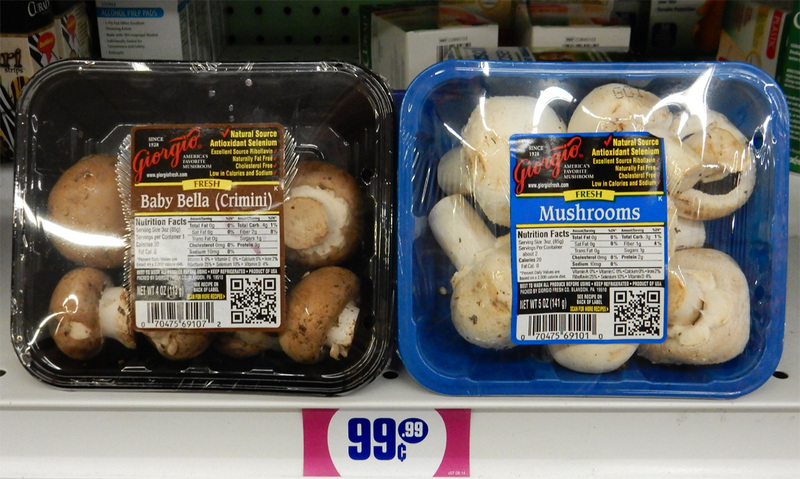 4 ounces of mushrooms - I used a small package of crimini, but okay to use regular white button or any mushrooms. 8 ounces of pasta - any favorite. I used half a package of spaghetti. Extras include: parmesan cheese and fresh or dried herbs. This recipe comes together in the time it takes to boil some pasta. Start cooking the pasta following package directions. 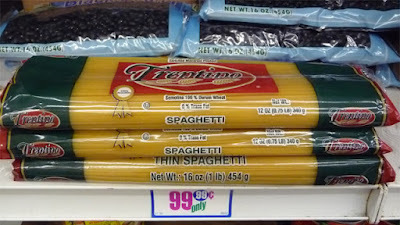 I usually shave off a minute or two for al dente (pasta that is slightly firm to the bite.) While pasta cooks prepare the Creamy Mushroom Sauce. 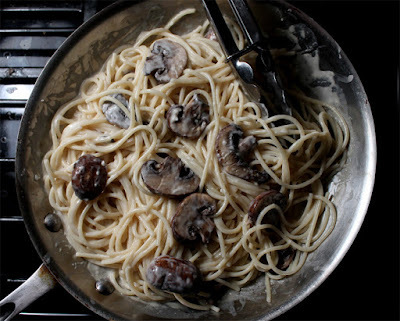 Add tablespoon of oil to a pan large enough to hold the cooked pasta. 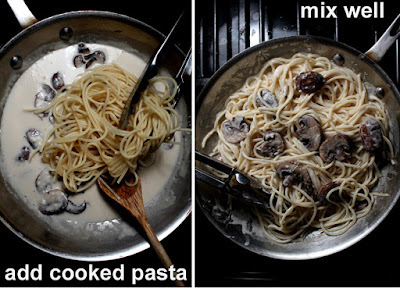 If you don't have a large pan then it's okay to use what you got and mix the spaghetti in a bowl, or even the drained pot you cooked the pasta in. While oil heats up over a medium temperature, brush off any dirt from the mushrooms, if needed. 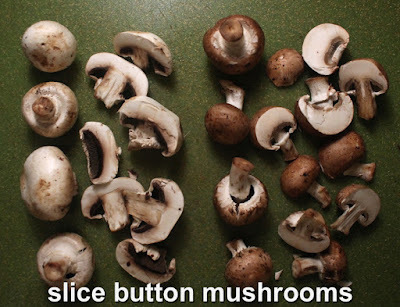 Slice the mushrooms, thick or thin. 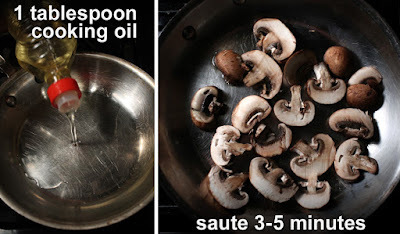 Add sliced mushrooms to oiled frying pan. 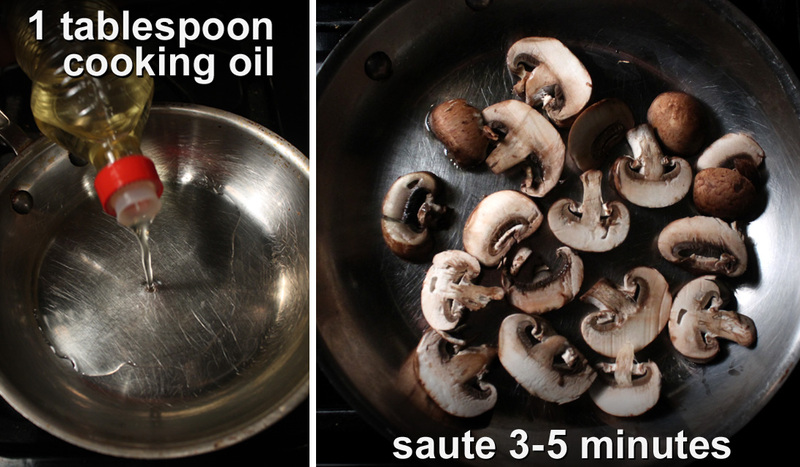 Saute until soft, about 3-5 minutes. Next add the sour cream. 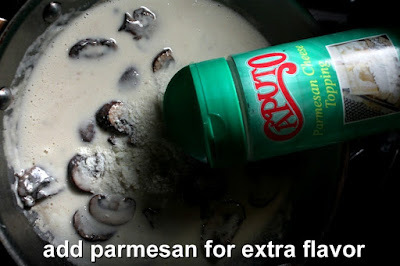 I sprinkled on 2 tablespoons of dried parmesan, for extra flavor (optional.) Mix sour cream and mushrooms. Sour cream will turn into a creamy sauce as it heats up. Stir slowly and cook for a couple of minutes. 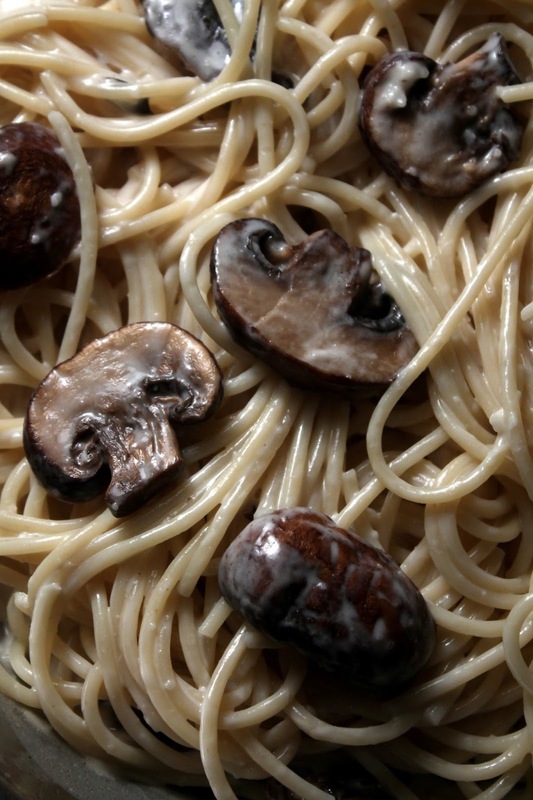 If the sauce thickens too much (or there is not enough for you,) then add a couple of tablespoons pasta water. This recipe is easy to double the ingredients. 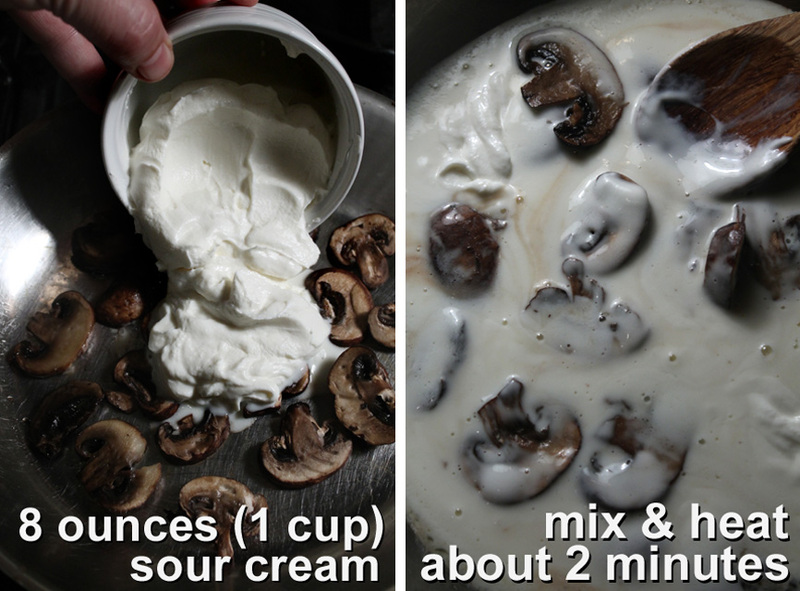 Just make it with 16 ounces of sour cream and 2 packages of mushrooms. 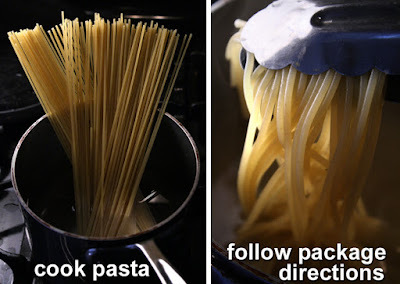 Also cook a whole package of pasta. If mushrooms are too expensive then substitute any favorite sliced or chopped fresh veggies to saute, like: carrots, cauliflower, broccoli or Italian squash.